We had a full and glorious day overcoming crowds & tight schedules. Started the day with checking out of the hotel and going to the Mount of Beatitudes to meditate and pray where Jesus taught the Sermon on the Mount. We prayed the Luminous Mystery of the Proclamation of the Gospel. We then drove north to the Lebanese border and stopped at Banias, which was Caesarea Philippi during the time of Christ. I gave one of my favorite talks there: “Peter, the Rock, the Keys & the Chair.” It is always pleasant watching the pilgrims scrambling over the rocks exploring. We then ate Druze Bread sandwiches in the Golan Heights, looked out over the country of Syria, then back through Galilee to Mount Tabor. At Mount Tabor we had Mass, prayed the Mystery of the Transfiguration and said our goodbyes. We had box dinners provided to eat on the way to the airport. A lot of hugs, tears, and joyful comments. One plane departed at about midnight, the other around 1 AM. 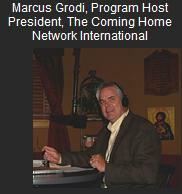 Steve will join Marcus Grodi (Host of The Journey Home) in the hour long radio discussion of Scripture. It will air today, Wednesday, from 9:00-10:00 PM Eastern time. Our passage will be 2 Corinthians 11:21-29. In this passage Paul tells how much he suffered for the Gospel. To learn more and to join us visit www.deepinscripture.com.